You are a Taurus if you were born between April 21st and May 21st. 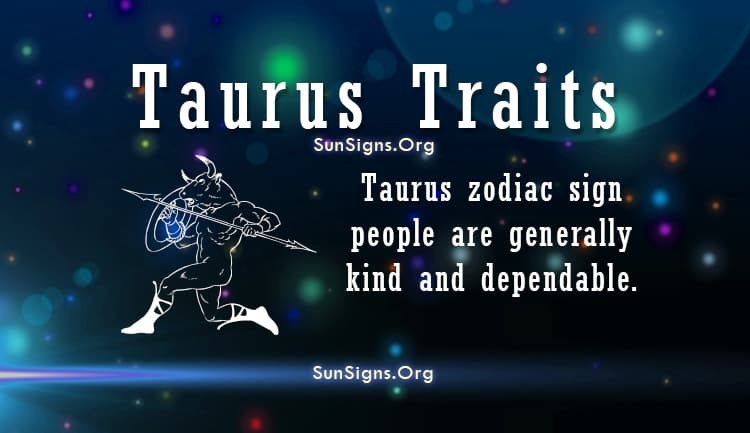 Taurus zodiac sign people are generally kind and dependable. Being this way, Taurus personality will not have trouble making new friends. However, they may become stressed when people rely on them too much. Taurus will do their best to be patient and generous, as this is in their nature. While being loyal, a Taurus personality can make a great leader or follower, whether it’s at work, school, or in another organization. If given the option, the Taurus will lead. The Taurus traits show that if they do not get to lead, they will not become bitter about it, but instead take the chance to learn from the situation. This is a helpful skill when it comes to work or school, as they will likely be picked to be a group leader, or they could even be up next for a promotion at work. Taurus characteristics show that they will make a loyal friend to all that accept him or her. However, because of these traits a Taurus usually has many acquaintances instead of close friends. This could be caused in part by how generous they try to be. Both Taurus men and Taurus women spread themselves out amongst people in order to make as many friends as possible. But this can cause them not to have the strongest bonds with the friends that they make. Although materialistic, this means that Taurus personality traits show they are great gift-givers; knowing what their friends will like. Taurus also likes to party. Their friends are often invited and have a good time. Although they can be self-indulging, they also have no problem indulging others with fun and possessions. Their stubbornness may one day prove to be true, and once proven right, the Taurus will feel much better. Once a Taurus gets over their laziness, they are likely to be craving an adventure, which is likely to result in great fun for all. Like any human, a Taurus male and Taurus female also has some negative traits as well that can make their life a little more difficult at times. The Taurus man or Taurus woman can be stubborn. Anyone who wants to convince a Taurus of anything new will have a hard time. This can cause a Taurus to be narrow-minded at times, which can annoy friends and family. Taureans can also be lazy. When a Taurus is lazy, they are really lazy. They may want to relax on days on end, which can also annoy their friends. Taurus personality traits show that they can be also be materialistic, possessive of what they have, and self indulging. This can be seen as a negative trait in many cultures. This can lead some Taurus to become hoarders. The obsessiveness may not just be in terms of material possessions. It could be concerning the Taurus’ friends, family, or partner. A person born under the star sign of the Bull needs to learn to control these aspects of their personality if they want to be seen in a positive light by their peers. A Taurus in love can be both adventurous and be happy with many partners, or they can also feel fulfilled when they are with one good partner. Taurus sun sign is likely to be loyal in a relationship, but they can also be possessive at times. This could cause their partners to feel a sort of bossy vibe around them, which may not translate into a successful relationship. Taurus will want to date a partner who can satisfy him or her emotionally as well as sexually. The Taurus characteristics show that if they successfully can give their partner enough breathing room and does not act too bossy or possessive, then it is likely that this couple will have a long-lasting relationship.